The factory-made modules are used to change over (t ≤ 0.5 s) between two supply sources (AV/SV resp. SV/UPS) and for IT system monitoring in medical locations. Status indication and alarm texts on the alarm indicator and operator units takes place via bus technology. 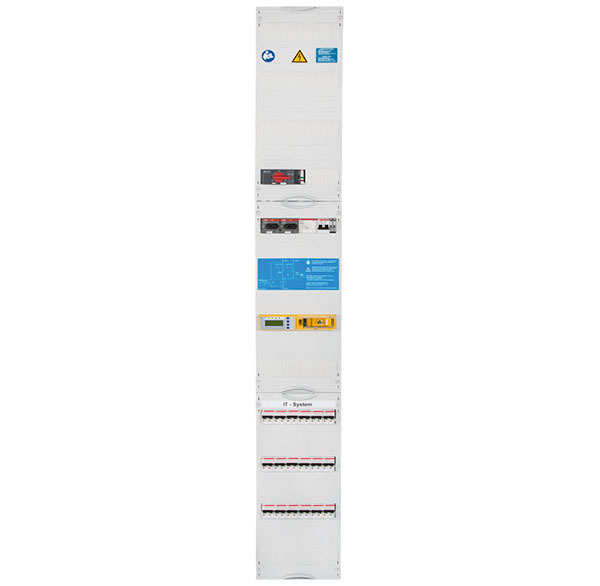 The module is suitable for mounting onto all common DIN rail systems.